What is a Pneumatic Tube System? Vertical and Horizontal movement provides flexibility and frees up floor space. MultiCar is the “big brother” monorail conveyor system to UniCar and transports goods of higher payloads. Its low construction height allows for space-saving installation solutions. The system transports horizontally, vertically, and horizontally overhead. The vehicles are equipped with forward and reverse drive allowing them to move anywhere within the monorail track network. In the example above the application could be “one-to-many”, distributing product or parts to production cells or could be “many-to-one” recovering manufacturing output and transporting to the next production stage in a process. Of course, Multicar can operate “many-to-many”; it is a fully networkable solution capable of communicating between any stations or terminals anywhere within the monorail track network. Switches, or “points” in the track allow cars to change tracks where required. 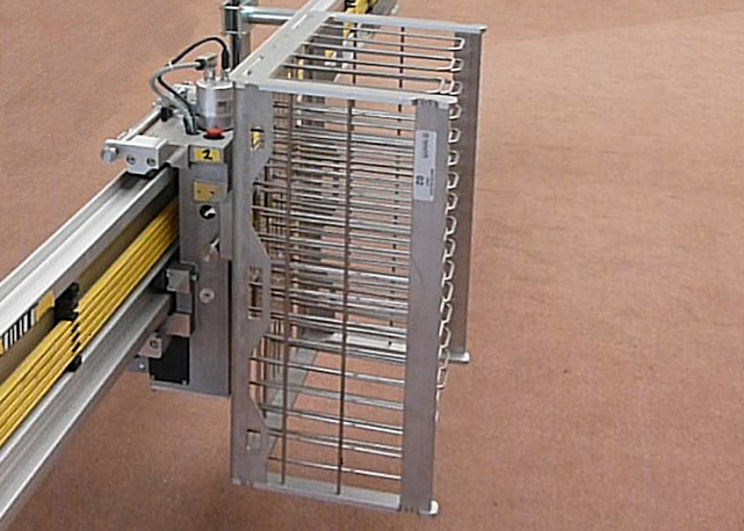 Multicar delivers an intelligent alternative to conveyor systems. The autonomous cars are individually controlled by the traffic management software. Multiple cars can move simultaneously, with their position within the network being monitored at all times. Multicar can be equipped with many different platforms. These can be aligned during transportation either through gravity, or by a dynamic positioning control that keeps the payload perfectly upright throughout the transportation process. 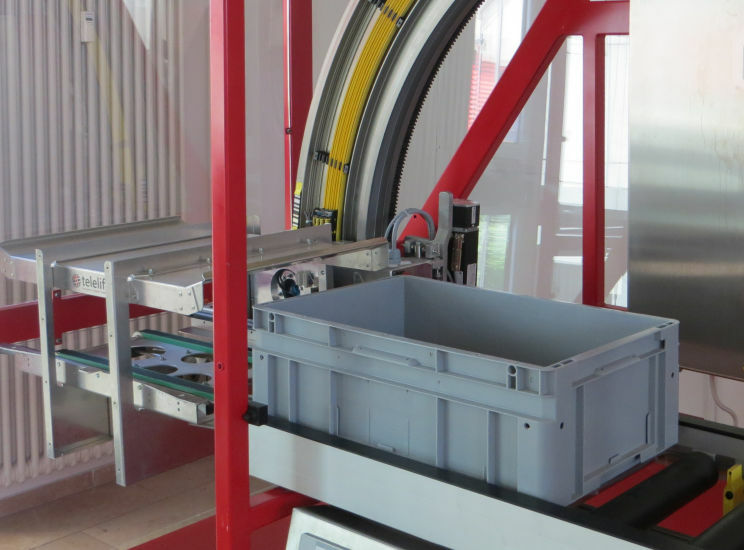 Multicar is the perfect solution for Tote and Eurobox transportation. The ability to move the payload vertically away from the production area keeps the floor clear for personnel and other intra-logistic processes. The Multicar control system can integrate with external Warehouse Management Systems to facilitate automated job allocation. Alternatively manual interface can be via for example, simple push button or alternatively touch screen HMI. At Quirepace we have exciting offers and news about our products and services that we hope you'd like to hear about. We will use your information to predict what you might be interested in. We will treat your data with respect and you can stop receiving our updates at any time. Please fill in the form above to confirm that you are happy to receive email updates from Quirepace. Web design & build by Fat Media Ltd.